Home / News / Rescue Story / Tennessee Tommy is FOUND!! 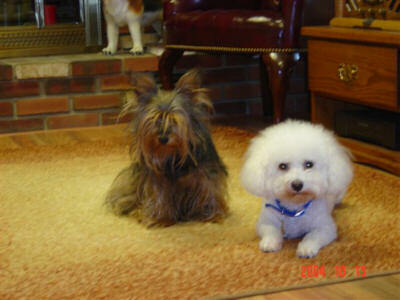 Jeter, Tennessee Tommy, and Billy Bob at home. God Will Make A Way by Janet Paschal! feet with a space heater. and soon he snuggled down in a dry blanket. LOST! Small Paws Rescue Bichon! 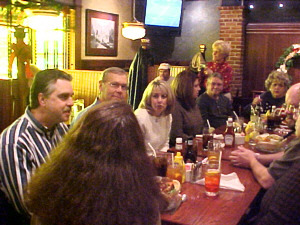 Year’s Eve in Canton, Ohio. 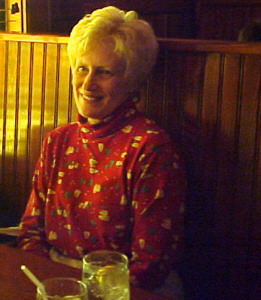 Lynn. Lynn’s husband,Ted, looks on. Here we are having lunch! this amazing and dramatic rescue! 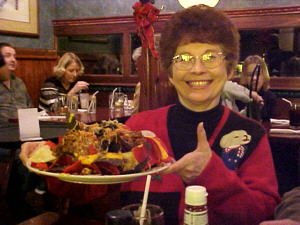 Ohio, holds a plate of natchos! old who was just given up by his owners. 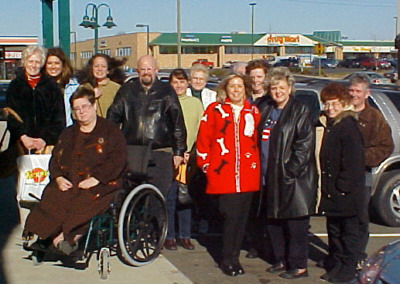 Here we all are out in the parking lot! Gem of the Day: Miracles happen to those who believe in them. If you did not receive the last newsletter that we sent, here it is. Oh my LORD GOD HAVE MERCY! Do I have a story to tell YOU?! This may be the best one yet! This is the best day of my life since Susan Sebring and I began this magnificent obsession over five and a half years ago and no I am not kidding!!!! ARE YOU READY????! HOLD ON to something or you will be carried away into absolute ecstasy as I have been!!! It is all I can do to contain myself enough to type this to you now! PRAISE GOD IN THE MORNING! Let me start telling this, from around noon yesterday. 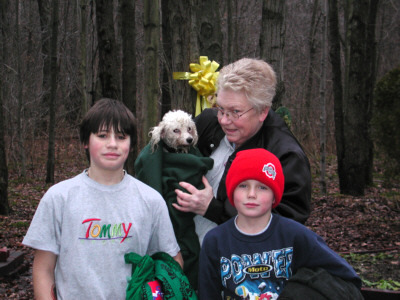 I was sitting in a restaurant in Tulsa, and I swear to you, I believe I felt God/The Holy Spirit telling me to get on a plane and come to Ohio to try to find Tennessee Tommy, one of our Bichons who slipped away from the yard of his foster home, early last Friday morning. It wasn’t that I thought that I could find Tommy, any better than the next person, but I DID THINK that my traveling from Tulsa, Oklahoma to Warren, Ohio would be worth the media attention it might get, thus the $500.00 reward would be offered to the public, and thus maybe SOMEONE would find our baby and return him to us! THAT’S how I thought this would play out! OH CONTRAIRE’! What I am about to tell you will seem unbelievable. I am so thankful that I had with me at all times, a witness, Joan Kovach, a local resident from near there who is with Shih Tzu rescue, without whom, today’s MAGNIFICENT and utterly remarkable rescue could NOT have taken place! Ok..breathe..I can DO this! I CAN DO THIS!! It all started after I made the decision to fly down. Flying standby, would there be a seat? I rushed home after I felt God telling me to go get on the plane. I THREW clothes together. I probably don’t even match! I ran out the door and raced Glory (Glory is my Red Volvo Wagon) to the airport, and I RAN into the counter. Thank GOD they know me or they might have thought I was a terrorist! I hurried though security, and down to the LAST gate (OF COURSE) just as they called my name! YES! I had a seat! In first class at that! I arrived in Akron, Ohio to find a TINY airport. There was no airport hotel and only two car rental places had vehicles left. As I explained to the Enterprise girl why I was here…she told me that SHE had a poodle and Bichons were close enough to poodles that now SHE too, had a stake in this rescue. I was going to be driving the “cream puff” for the same price as a Taurus. I thanked her profusely and went outside to find the oddest little vehicle. THIS is the “cream puff”? It is an Infinity little SUV of some sort. Leather, power everything, and I am sure it does the dishes too. It has headlights that adjust to your height, and I didn’t even need to bring Gracie, my GPS system,…the cream puff had it’s own. What an odd looking little vehicle. I thought to myself, I don’t need such a fancy vehicle just to hunt a lost doggy. TRUST ME ON THIS ONE! GOD KNEW EXACTLY WHAT HE WAS DOING AT THIS POINT! I couldn’t sleep. Tommy, all 10 pounds of him, shaved almost bald, was out there. Alone, hungry, cold, and it was supposed to get down to COLDER THAN SNOT last night, and…it was also supposed to snow today. I worked til’ 2 in the morning last night answering email and writing to you guys, the Small Paws Rescue mailing list. A list that is a live being unto itself. You all live and breathe. YES! THIS MAILING LIST IS ALIVE! I PROMISED Tommy, when we brought him out of the mill, that no one would ever hurt him again, and yet today, he was on his own in the woods, on the streets…was he alive? WAS HE DEAD??? I drove about 60 miles to the town of Lordsville, and stopped by to pick up Shih Tzu rescuer extraordinaire, Joan Kovach. She directed me to the Animal Rescue League, the folks who had agreed to let us borrow their live animal trap. Joan had brought food for bait, a crate, a leash and numerous blankets, PLUS water bottles for us. The wonderfully caring animal control officer, Ken Ford, from the Animal Welfare League Shelter at 545 Brunstetter Road Southwest, Warren, OH 44481 (330) 399-2086, showed us how to set and bait the trap. It was a far out notion but we had to try it at this point. Armed with fragrant chopped wieners, a live bait trap, a crate, a leash and numerous blankets, we headed out to the mobile home park where Tommy had been spotted so many times since his disappearance, before day light last Friday morning. It was not a good feeling. There were only two streets and yet, everywhere we looked…there wasn’t even a KITTY CAT moving, much less our Tommy. It was too cold outside for man or beast. Each stoppee would tell us the same answer. Either that they HAD seen him and he was GONE now, or that they hadn’t seen him but would keep their eyes peeled. We drove up and down, up and down. Finally we went to the mobile home office. They told us of a housing addition about a mile away. It was worth a shot. We drove down the long and curvy road, across a MAJOR FOUR LANE INTERSTATE DON’T EVEN ASK ME WHAT WAS GOING THROUGH MY MIND WHEN I SAW THAT, and into the housing addition. I felt like we were getting colder..I didn’t “feel” him near there. JOHN EDWARD WHERE ARE YA WHEN I NEED YA BUDDY I ASK YA NOW! That is when I turned to prayer. You guys know that when I talk to God I talk to Him like He is a friend…like He is in the car with me because guess what??? HE IS!! We drove back to the mobile home park where I began feeling like we were getting “warmer” again. NOTHING. There was nothing moving. We drove off a back rode into the woods as far as we could. Joan got out and started walking a hiking path when I saw it…there laying deader than dead was a body… a tan body with fur blowing in the wind. I called Bonnie, our Executive Assistant immediately! SCREAMING into the cell phone I told her I found a BODY! GOOD LORD GOD A BODY!!! Bonnie told me it couldn’t be him. It just couldn’t be. Then she asked what I was going to do if it WAS him, although it couldn’t be him. I told her that if it was him, I was going to wrap him up, and bury his little body. IT CAN’T BE HIM NO GOD IT CAN’T BE HIM! Yes, that right. I made Joan go look. I just couldn’t. She looked and reported back to me…”It’s dead. It’s a body. : WELL NO KIDDIN SHERLOCK WHAT THE HECK IS IT????? It was a partial deer carcus. Someone had cleaned a dear and brought the remains out to this part of the woods to GIVE ME A HEART ATTACK NO DOUBT SHAME ON THEM! Poor Bonnie waited on the other end of the cell phone while we determined if our baby was still alive or not. I told her..”IT’S PART OF A DEER!!!! Not part of a BICHON!!!! We are still alive and cookin’! Back we drove again to the mobile home park..driving up and down the two roads..up and down, up and down, when we saw two young boys. One was about nine and was was about thirteen years old. IN THEIR HANDS THEY GRASPED THE FLIER THAT JEN BATTAGLA, Ohio Team Leader Extraordinaire, had placed there only yesterday! The flier told of the $500.00 reward for Tommy’s safe return, and these two young businessmen had decided this kind of work was for them! They had been looking all day yesterday and all day today, despite freezing temps and snow. When I saw them clutching the flier, I told them that I HELD THE CHECKBOOK and did they want me to SHOW THEM THE MONEY!!!! I told them that they didn’t have to actually CATCH Tommy…that if they just directed us TO him, and we were able to catch him, they would still earn their reward! I have always felt that one can always make more money. One can NEVER make more life! Then they began to tell us a tale, and I could not tell if they were telling the truth, or if they just wanted so badly to give us hope that we would find little naked, probably frozen like a Butterball Turkey, 10 pound, Tommy. They pointed west, through the thick woods, and told Joan and I of a long dirt driveway, that was wet and filled with mud. If we took it, it would lead wayyyy back to a lady’s house, deep in the woods. 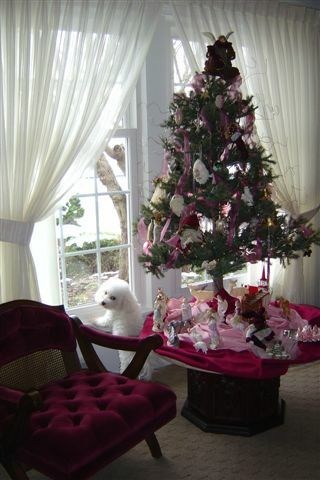 There, it had been reported that our Bichon had been in her garbage can. Oh man…it was approaching 1:30 in the afternoon. We were tired, cold and hungry. Should we go check this out before lunch? YOU BET! We drove out to the main road and went west until we saw the first right hand turn. SO far the boys had been right. It was a dirt road. Oh no..could this car make it down this muddy road? THIS CAR HAD A SETTING FOR FOUR WHEEL DRIVE, ICE AND SNOW! I JUST REACHED DOWN AND PUNCHED ALL OF THEM AT ONCE! GOD KNEW WHAT EXACTLY HE WAS DOING WHEN HE GAVE THIS CAR TO ME! Varoom! Off we went, slipping and sliding over the deep mud, something I am normally terrified to do. My fear left me as Tommy could be waiting at the end of this road. IT COULD HAPPEN! You just never know! As we drove down the muddy, slippery terrain, I looked up and gapsed. Our second prayer had just been answered. THERE HE WAS STANDING IN FRONT OF US IN A CIRCLE GRAVEL DRIVEWAY! OH MY GOD! THERE HE WAS! ALIVE! UPRIGHT! MOVING! STILL WHITE!! WAIT! Why was he moving AWAY from us! NO TOMMY! OH GOD NOOOO!!!! DON’T RUNNNNNNNNNNNNNN! I called Bonnie again, SCREAMING into the cell phone! “MY GOD!!! MY GOD! WE HAVE HIM!! I MEAN..WE see HIM!! OH NO!! He is running into the woods!!! OH GOD NO! We are losing him!! I told her I had to put the phone down and try to go after him! She ORDERED me not to leave her hanging like that! I had to!! Sorry Bon!! I put the phone down in the mud. I KNEW he was out there! He had legs four inches long! I had legs 40 inches around! HOW would I ever catch him?! Joan tried to get him to come to her and he would have none of it. His little tail down in terror, he headed back into the deep woods running at the speed of light, and disappeared from our site. Oh God no. SO close, and yet…nada. Tommy was gone. I told her we lost him…then I think I hung up on her. SORRY BON!! I told Joan we had to set the live animal trap. It was the only way. At least we had seen our Bichon. He was still alive as of about five minutes ago. Wait…aha! I told Joan that we had to update our prayer request. We were not being specific enough!!! I told God that we needed to see our Bichon ALIVE AND IN OUR CUSTODY. DEAR LORD! PLEASE!!! As God is my witness. As I live and breathe. I swear on all that is Holy, I swear on the lives of each of my furkids, within 1-2 minutes we heard the two boys calling to us from across the woods. We have no idea how they got to the part of the woods that they did…but it seemed they were saying, “WE GOT HIM!! !”…no wait..maybe it was “WE SAW HIM!!!”. Well yes, EVERYONE has seen him. We ALL have seen him. I saw him not ten feet from me, and all I could do was envision myself hanging upside down from my pantyhose in a tree if I had been able to find a net gun. Them it happened. I looked to the west. Walking DIRECTLY towards Joan and I were two wet boys…HOLDING ONE SOAKING WET BICHON FRISE UNDER THEIR ARMS BY THE NAME OF TENNESSEE TOMMY AND NO I AM NOT KIDDING CROSS MY HEART AND HOPE TO DIE!!!!!!! Ok..I’m back. I raised my arms into the air and proclaimed it for all to hear. THANK YOU GOD! THANK YOU JESUS! IN THE NAME OF THE FATHER THANK YOU GOD!!!! Our prayers had been answered…one after the other. 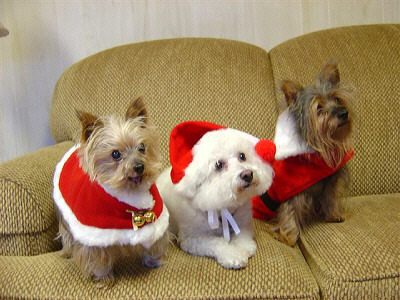 First we saw a little white dog. Ok, so he had pointed ears and a stout chest. We saw a little white dog. THEN we saw OUR Bichon…yes he ran, and we didn’t catch him, but we saw him! Then, not two minutes after our last prayer, that we have OUR Bichon in custody..these two precious angels brought Tommy to us alive and kickin’! Oh my God, I have to tell you how they got him! HOLD ON TIGHT FOR THIS PART! As Tommy was running AWAY from us, dashing through the woods out of our site, the boys saw him trying to swim across a shallow pond…that was mostly frozen and covered with ice. Yes, Tommy had a collar on. No tags, but he had a collar on! One of the collars that one of YOU have sent to our vet’s office in Tulsa. That child dragged him from an icy would be GRAVE and saved his little white fluffybutt life! It was one of the most thrilling moments of my whole life. I took pictures of the boys, Tommy and Joan and as soon as I get home to my photo adaptor, you WILL see these glorious pictures! I looked them dead in the eyes and told them they had just earned a $500.00 reward! Yes they did. YOU BET THEY DID!!! Bless their little wooly cotton hearts!!! Then, I realized one of the boys was in trouble. His feet were icy cold and as quick as bunnies, we loaded them up into the car, and rushed them back to the mobile home office. I remembered this from survival training that my husband Dale had given me when I had fallen into an icy brook…to far from the house to get home. The other boy, the older one, called his Mom and asked her to bring a blow dryer to dry a shivering and shaking little half frozen Tommy! His Mom came up to the office right away and was beaming with pride at the hero her son had become. And yes he did. He surely did! This may be the next generation of Small Pawsers! Our publicist had issued this press statement early last night, and yes, the local newspaper is doing full feature on this story tomorrow in the Warren Chronicle! Following is the press release that went out to all Akron, Warren and surroundings towns. All in all, 8 radio stations and 8 newspapers. Hope it gets some fast action. 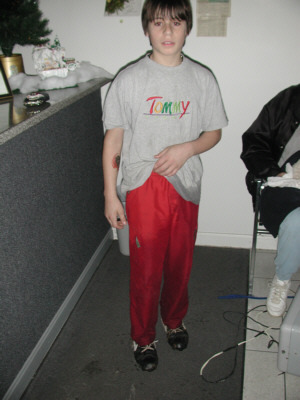 I also attached the picture from the web site of Tommy. 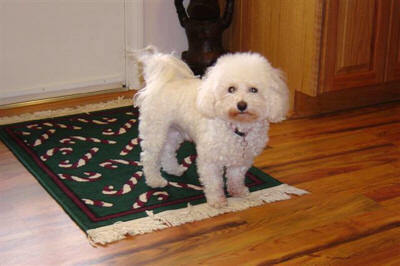 $500.00 Reward for lost Bichon Frise puppy! Tulsa, Oklahoma woman flies into Akron tonight to help locate and re-rescue a lost puppy in the Warren, Ohio area! Robin Pressnall, Executive Director of Small Paws® Rescue Inc. has just flown in to Akron airport to help local authorities locate and rescue a very frightened Bichon Frise, named Tommy, who was recently rescued by Small Paws® from a Puppy Mill. 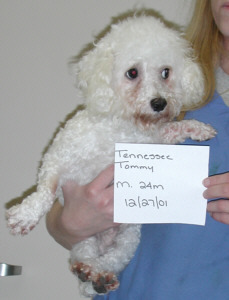 Tommy had been staying in a foster home in Warren and escaped sometime on December 26th. He has been seen numerous times in a mobile home park in the Lordstown area. In the early morning light, Ms. Pressnall will drive the 50 some miles to Lordstown to help locate authorities locate and rescue Tommy. Tommy was abused while being held captive in the small cage at the puppy mill prior to his original rescue by Small Paws® and is, therefore, not socialized with people. He will be hungry, cold, frightened, and will not come to people because of his past abuse. Small Paws® Rescue Inc. is offering a $500.00 reward for information leading to Tommy’s safe return. He is not wearing his identification collar but is micro-chipped. Microchip verification will be required to confirm Tommy’s identity prior to payment of the reward. Small Paws® Rescue Inc. is a charitable, Federal not-for-profit organization that will accept into rescue any Bichon that is either abandoned in a shelter, living with an owner who can no longer supply care, culled from a Puppy Mill, or purchased at a Puppy Mill auction, like Tommy. 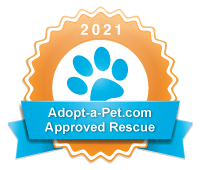 They take responsibility for each Bichon rescued and placed through Small Paws® Rescue Inc. for the rest of his or her natural life. 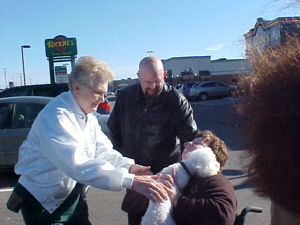 That responsibility is why Ms. Pressnall has flown from Tulsa, OK to personally locate Tommy. Once found and rescued, Tommy will again be placed in a foster home where he will be socialized and listed for adoption. 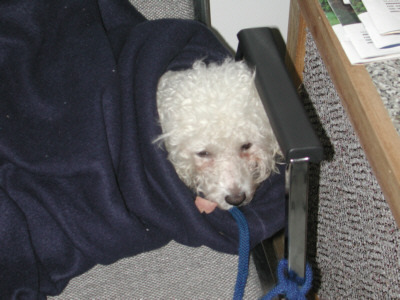 To date, Small Paws® Rescue Inc. has rescued, facilitated veterinary care, and placed over 3,500 Bichons; funded 20 heart murmur surgeries and numerous other major surgeries. 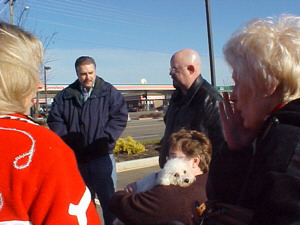 It is the largest organized Bichon rescue organization in the country today. For more information on how you can help Small Paws® Rescue Inc. locate and rescue Tommy please call any of these numbers 918-638-5854, 330-719-7393, 330-824-3153 or 216-789-9315 day or night! 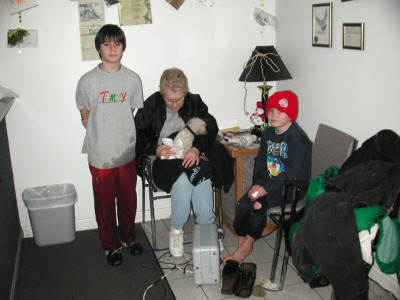 The photographer got several pictures of the boys holding Tommy, and the reporter did a 45 minute interview with Joan and I on the subject of Puppy Mills, Dog Auctions, Pet Shops, and Breed Rescues. What a day this has been. WHAT A WONDERFUL DAY! THANK YOU GOD FOR THIS DAY! Fellow Small Pawser, Deb Crouser at croused@yoder.com, a trusted foster home to mill babies, drove over to meet me this evening t the hotel with her beautiful family and they picked up baby Tommy. Deb will foster him until he is ready to go to his forever home. Tomorrow, Wednesday, December 31, NEW YEARS EVE, Jen Battagla, our Ohio Team Leader has arranged a luncheon for all Small Pawsers in the area BEFORE MY 4:00 O’CLOCK flight home tomorrow! So far we have 13 planning to come including, hopefully, JOAN, the Shi Tzu rescue lady who helped us recover Tommy, today! I haven’t looked at mail yet. I am too busy FLYING ON AIR if you know what I mean!! THANK YOU GOD! We have him back! 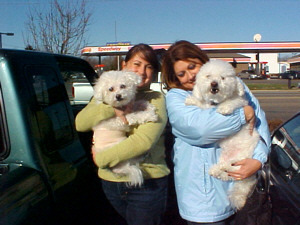 This is SIX Bichons who have gotten away and SIX we have recovered in the past five and a half years. WHAT A BLESSING! GOD IS SO GOOD TO US! Well, I know I need to go look at this email…but I had to share with you this most miraculous day. We have been given a gift of a second chance for this precious two year old baby who cooed like a baby once we had him wrapped tightly in the blanket! Joan wanted to let him stand up and walk but I told her he is never standing up again! He is going to stay wrapped in that blanket for the next 18 years, right here in my site! HOLD ON TO THAT BLANKET AND TOMMY!! As we dropped the boys off at their homes, with their checks for $250.00 each, I turned to them and said this. I told them that no matter what church they go to…or if they even GO to church…I told them no matter what church their parents go to..that they HAD to promise me something. I told them that no matter what, they had to remember, that if they are ever in trouble…there is Someone waiting to help them…Someone Who is invisible but Who is here as sure as I was talking to them now. I told them to promise me that if they were ever in trouble, they would remember this day, and they would pray for God to help them! January 17, 2005! Scroll down for update and pics! Robin, I hope the following comes through of Tommy and Billy Bob. I still am pretty “inept” at e-mailing pictures. (I’ll be sending another one under separate cover). He romps and plays with his “brother”, loves to play ball–in fact he thinks it is his job to retrieve EVERY ball. Sometimes it is necessary to put a gate up, and play ball with Billy Bob in another room. (This does cause some crying, but it is the only chance Billy ever has to play ball.). Tommy is “into” hand kissing; however, he doesn’t feel safe enough to hop into my lap–I’m not sure if this will ever happen, but that is o.k. He is a big “tail wagger”, so, I know he is happy! Tommy quickly learned where the “treats” are kept. He also learned that when I grille outside, he and his brother get a “sample”. In fact, the moment I go to the drawer that has the grille lighter, they both barrel to the door! Sometimes I like to sit and just watch him sleep on the couch on his back, with four legs in the air. He looks so totally relaxed! Even watching him makes me smile. I know I could have adopted a young puppy, but after reading his story, I just knew I had to give him a forever home. I pestered everyone at Small Paws to get him, but I guarantee you he has a good home, and is loved. I thank all the wonderful people who played a part in his adoption, rescue, and fostering. And, most of all, I thank Robin for flying to Ohio, venturing about in the woods of Lordstown, and helping in his capture! Such a first-class, dedicated lady!!! Here he is waiting for Santa! human, he’d have his hands on his hips in this one.